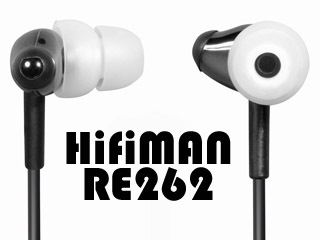 A few months back, I reviewed the upcoming RE262 (which at the time was handed out as part of the HifiMan HM602 packaging). Well, finally HifiMan is ready to release it as an independent product. Spotting a lower price @ US$150, the new RE262 will have slightly different physical build than the one I reviewed. First, it seems to come with a metal housing now. Second, the mini plug has been switched to a 4 pins TRRS plug (which is used for balanced signal that HM801 will support via a new balanced amp module). It also comes with all the necessary adapters so you can use the TRRS plug on any DAP. It even has an adapter so you can wear the RE262 in over-the-ear configuration. All and all, it seems Head-Direct has taken their time to further refine RE262, the lowering in expected price (used to be $250) is just another great plus to sweeten the whole deal - worthy to receive a 4.9/5 Sonic Diamond Award™ recommendation. Why not 5/5? Because RE262 still need a good source or amp to shine, thus limiting the overall performance. [UPDATE] Apparently the housing is still in plastic, though it does affect the rating I give.